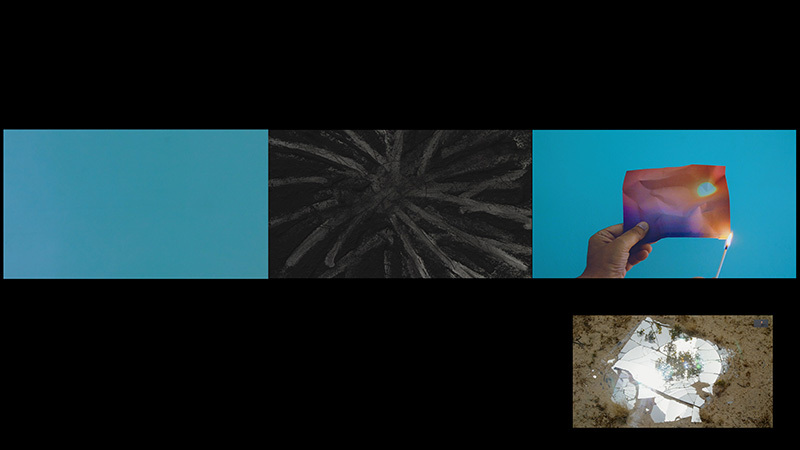 For Made in L.A. 2018, Choksi has created the multichannel video installation Everything sunbright, which is the culmination of a series of works examining our relationship to the sun, divided into birth, life struggle, and death. The videos include footage from earlier works, such as The Sun’s Rehearsal, for which she created a billboard-size free-standing wall pasted over with eight layers of wallpaper depicting both real and imagined sunsets and with a large cutout void where the sun would have been. While the work was on view, dancer Alice Cummins slowly tore at the layers to suggest the loss and decay that time enacts, including the possibility of a “final fatal sunset,” as the artist describes it. 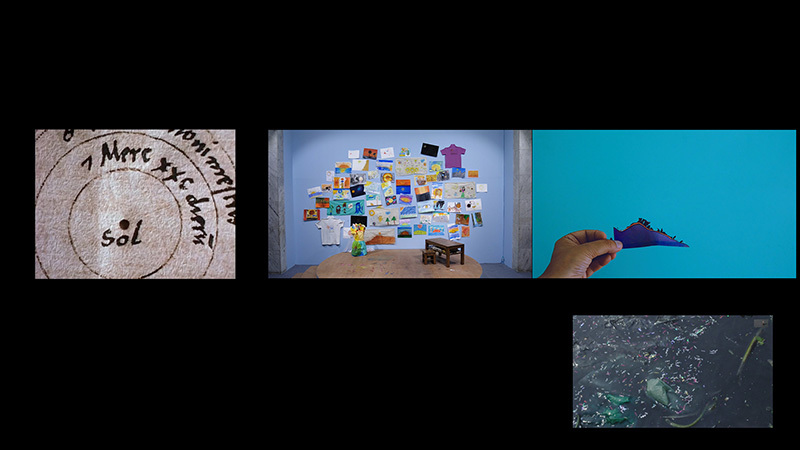 Choksi augments footage from these earlier projects with imagery of a solar observatory in India; the dry landscapes of the Los Angeles basin; acts of making in her studio; and a project recently shot in Dhaka, Bangladesh. 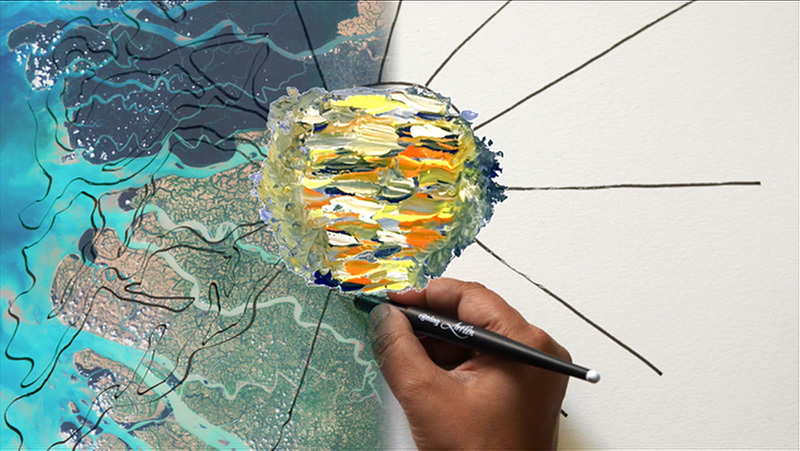 In Dhaka, the artist worked with eleven children, ranging in age from seven to twelve, who were paired with adult professionals—including a climate scientist, a folk singer, and a psychiatrist—and asked to make drawings of the sun. One channel includes the daily notations of the sun’s activity made by solar scientists in India during the forty weeks the artist was in her mother’s womb. Connecting the daily solar cycles with the temporality of human life, the installation strikes a poetic tone that balances the optimism we feel with the sun’s arrival each day and the haunting sense of transience that accompanies the erasure and darkness we associate with the setting sun and, indeed, our own mortality.